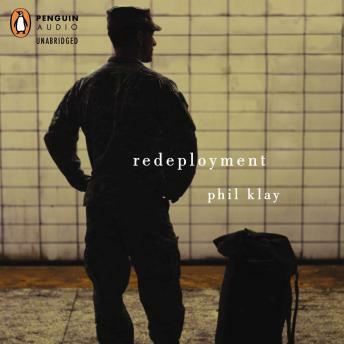 In 'Redeployment', a soldier who has had to shoot dogs because they were eating human corpses must learn what it is like to return to domestic life in suburbia, surrounded by people 'who have no idea where Fallujah is, where three members of your platoon died.' In 'After Action Report', a Lance Corporal seeks expiation for a killing he didn't commit, in order that his best friend will be unburdened. A Morturary Affairs Marine tells about his experiences collecting remains—of U.S. and Iraqi soldiers both. A chaplain sees his understanding of Christianity, and his ability to provide solace through religion, tested by the actions of a ferocious Colonel. And in the darkly comic 'Money as a Weapons System', a young Foreign Service Officer is given the absurd task of helping Iraqis improve their lives by teaching them to play baseball. These stories reveal the intricate combination of monotony, bureaucracy, comradeship and violence that make up a soldier's daily life at war, and the isolation, remorse, and despair that can accompany a soldier's homecoming. I like the way that the author writes. It read like someone's real story rather than fiction, especially when you know who is author. The narrator is amazing. Wouldn't listen to this again. Not very well written. I was deeply upset with the language used in this novel. There were so many curse words used that it was very difficult for me to try to stay focused on the story, and I never did find it. Maybe because I am the daughter of an American solder, I never did quite understand my father. When he was sent to Vietnam, he returned home just a little bit differently each time. He was deployed three times. He and I never developed a "normal" father-daughter relationship. He served 20 years, and then retired. The true hero may have been my mother, who has stayed married to him for fifty three years. Good try, Phil Kay, but it could have been written a bit more tactfully. That's all.